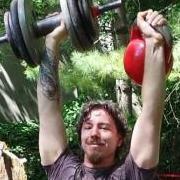 A forum for all grip strength buffs out there: Climbers, strongmen, judo players, you name it. If you want to discuss grip, this is the place! Report the results of your latest workouts here! Judging via Polls for additions to the Community Records and Stats. The Judging is performed by our members. All posts related to contests here. Including training discussion for contests. The Grip Movie Gallery: Featuring some of the best Grip Feats of all time!